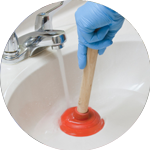 The Handy Squad have a team of reliable and customer friendly plumbers currently operating within the Chelsea area of London. 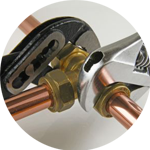 Every single member of our plumbing unit is skilled with all aspects of the trade, having successfully completed jobs to an exceptional standard since 2005. Over the years, our team have managed to sustain an unrivaled depth of knowledge and expertise. 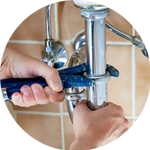 Your plumber in Chelsea will be able to assist with a wide variety of plumbing jobs, such as; Replacements, Unblocking, Installations and Repairs. 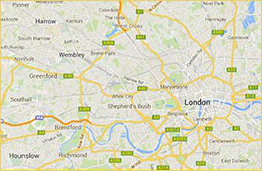 Chelsea is known for its extravagant property prices, resulting in residents being historically branded as Sloane Rangers. Since 2011, the area has been the primary location of the popular reality show, Made in Chelsea, which documents the lives of affluent youngsters who live within the borough. 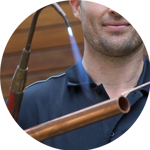 Plumbing is only one of the many trades covered by The Handy Squad. We have carpenters to help with hanging doors and laying flooring as well as a team of electricians in Chelsea who will be able to install lights and replace electrical items. We also have a Handyman in Chelsea, who can offer assistance with; flat pack assembly, tilling, hanging things up and much more. To book your handyman, carpenter, electrician, or plumber in Chelsea, fill out our online form.